The Oskaloosa Municipal Band continues their annual season of performances at 8:00 p.m. every Thursday evening during the summer months (June-August), as they have since 1864. 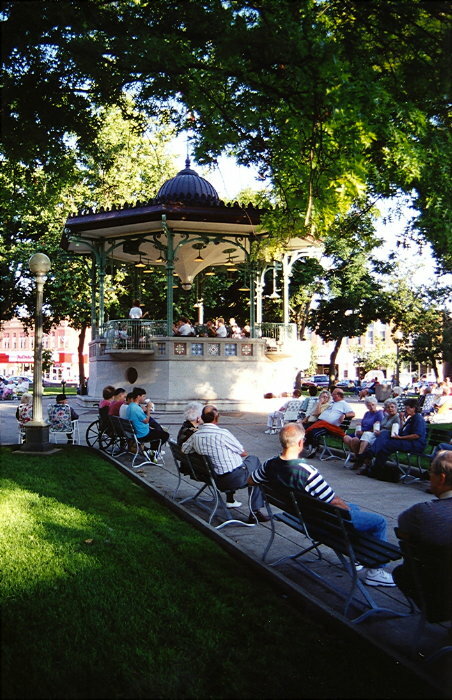 The historic bandstand and the city park come alive with music. Bring a lawn chair and enjoy! Groups or indivduals wishing to use the bandstand must contact City Hall. See the city fee schedule for use of the PA system. If City Council approval is required, the request must be received in time to be placed on the city council agenda. Exception: Main Street and the Oskaloosa Area Chamber & Development Group are allowed to use the bandstand and the PA system at no charge.